GPS | SAAR IT Resources Pvt. Ltd.
2. Faster delivery of geographic information needed by decision makers. 3. Centimetre-level surveying results in real-time. Trees are vital. As the biggest plants on the planet, they give us oxygen, store carbon, stabilise the soil and give life to the world's wildlife. They also provide us with the materials for tools and shelter. Trees absorb carbon dioxide and potentially harmful gasses, such as sulphur dioxide, carbon monoxide, from the air and release oxygen. One large tree can supply a day's supply of oxygen for four people. Trees are the integral part of our flora and fauna hence it's important to have tree surveys done. 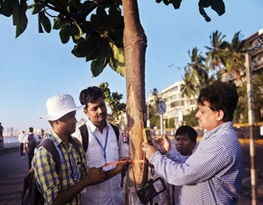 And SAAR being one of the pioneers in Tree Census Surveys using GIS /GPS, brings right amount of experience and quality. SAAR Geospatial endeavour to provide best-in-class services. We have a proven track record in GIS/GPS based Tree Census and can on-board such assignments even with higher volumes. 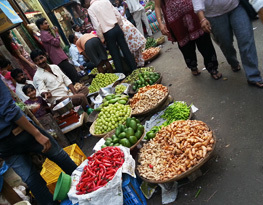 Hawkers are the one who sells goods aggressively, especially by calling out. Also called crier Systematic mapping of Hawkers in urban area is an need of an hour and our GIS Hawker system does the job with ease. 1. It allocate demarcated areas from where hawkers can trade. 2. It separates activity between hawkers and pedestrians. 3. It provides easier access to shops and entrance to buildings, railway station or other public and private properties. SAAR Geospatial endeavour to provide best-in-class services. We have a proven track record in GIS/GPS based Hawker Mapping and can on-board such assignments even with higher volumes. 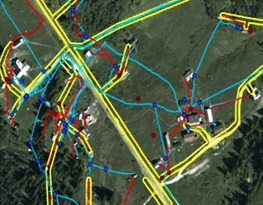 We provide innovative utility locating and mapping, non-destructive digging and survey services.